 One of ADAO’s principle goals is to increase public understanding of asbestos. Through our fifteen-year existence, we have had few allies in this effort as impactful, inspiring, and innovative as photographer Earl Dotter. 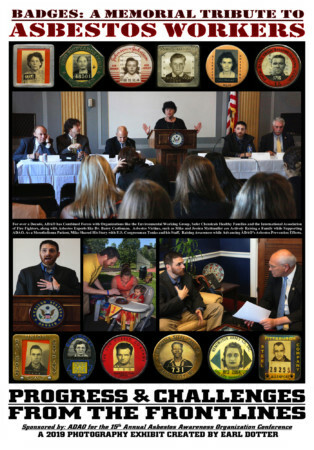 Dotter’s ongoing project “Badges: A Memorial Tribute to Asbestos Workers” will receive its fifth release this year, and ADAO could not be prouder to help showcase this remarkable exhibition of art-in-advocacy. We are immensely grateful that Dotter has chosen our organization as the focal point for this year’s exhibit. In a nation that struggles to manage asbestos exposure risk, the importance of showing the human toll of this carcinogen is impossible to overstate. Dotter does just this, providing one of the best asbestos awareness educations possible. His project takes its name from the main photographic effort of Dotter’s career: restoring and showcasing photographs of ID cards worn by asbestos workers throughout history. These badges show matter-of-fact expressions worn by hard-working, vulnerable Americans, and, in doing so, capture the profit-over-people culture that threatened and eventually killed many of faces you see in them. The work is moving, educational, and simply stunning. “Through the exhibit’s personalized visual representation of this lengthy, tragic and ongoing lethal episode in occupational and public health history, it is my hope no victim will never be forgotten,” Dotter said. In each exhibit, ID photos form the frame for a more specific asbestos-related topic that Dotter chooses to showcase. The 2019 theme is Progress & Challenges from the Frontlines, and it will focus specifically on the work of the Asbestos Disease Awareness Organization, as well as our “allies, colleagues, and engaged asbestos victims.” This is a great honor for our organization and everyone involved with it. Dotter focuses in on two ADAO advocates in particular: Mike and Jessica Mattmuller. When Matt was diagnosed with mesothelioma at age 29, he and Jessica chose to turn their anger into action. Dotter traces their journey as advocates, showcasing photos from their testimony before Congress as well as their family life persevering with asbestos-linked disease. The workers featured in the exhibit are from the 1949-1950 staff at the Johns Manville property, a former asbestos manufacturing site in Waukegan, Illinois. ADAO Prevention Advisory Board Member Tony Rich assisted Dotter in collecting these photographs, helping keep their history alive. Past “Badges” exhibits have focused in on a variety of related themes, including 2015’s general overview of the carcinogen, an Senate Committee on Environment and Public Works (EPW) hearing photo, 2017’s recognition of Senator Barbara Boxer, and 2018’s tribute to American firefighters. ADAO never attends a speaking engagement without one of Dotter’s works in hand, and we features his work prominently every year at our International Asbestos Awareness and Prevention Conferences. The visual aid of his photography is absolutely essential in communicating our message of prevention, action, and community-building. His work gives our advocacy a connection to the past, as well as to those who have been silenced by asbestos. By our own experience, we know his photographs have changed the hearts and minds of countless people. Working with Earl during the past five years has been a pleasure and an honor. Check back with us after our conference with details about how you can purchase your signed poster.